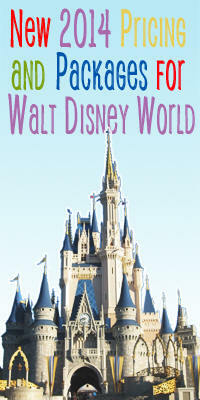 Call to book your magical Disney vacation! The American Idol Experience at Disney's Hollywood Studios Theme Park offers you the chance to watch, perform and vote for favorite singers. Watch: The excitement unfolds before your eyes. This exhilarating attraction features all the glitz and glamour of the hit television series' stunning set, and gives you an opportunity to experience the thrill as if really at the show. Vote: Decide who has what it takes. Determine the destiny of the singers onstage by voting as a member of the attraction audience on your interactive keypad at your seat. See how far your favorite singer can go! Perform: The challenge of auditioning. The rush of being onstage. A star could be born— who just might be you! The American Idol Experience provides select Guests with an opportunity to audition and sing onstage! And if your audience votes you the best singer of the day at The American Idol Experience finale show, you will receive a Dream Ticket (see eligibility restrictions below). If you are eligible to use the Dream Ticket, you will have an opportunity to make a reservation to sing in front of an American Idol* representative at an actual regional audition of the American Idol TV show, where it's your moment to shine! Dream Ticket recipients must satisfy AMERICAN IDOL* TV program requirements in effect at time of use, such as age and residency (for Season 9, must have been ages 16-28 on 6/12/09 and U.S. citizens or legal permanent residents eligible to work full-time in U.S.). Dream Ticket does not include travel, meals, lodging or other expenses. Guests age 14 or older inside Disney's Hollywood Studios™ may audition to sing that day at The American Idol Experience attraction, subject to requirements contained in Frequently Asked Questions. Audition openings are limited, only a few singers will be chosen for each preliminary show. A limited number of assigned audition times may be available in advance from time to time. Additional attraction details are described in Frequently Asked Questions. which are subject to change without notice. *AMERICAN IDOL® is a registered trademark of 19 TV Ltd. And FremantleMedia North America, Inc.
Copyright© 1996- Kingdom Magic Vacations, Inc.